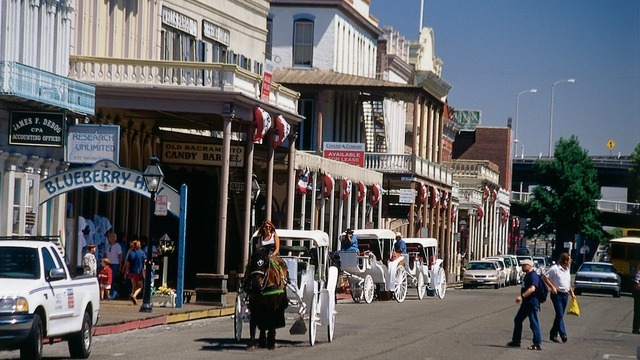 On this 90 minute tour, you'll walk the dusty steets of Old Sacramento - the Gateway to the Goldfields - and be regaled with the grand, the small, and the human stories of the greatest movement of humanity in the 19th century: When the world came to Golden California! You come too! To "see the elephant" - and maybe to "fill your pockets full of rocks". The tour ends - of course - at the River City Saloon.